Charity Karma Nirvana said if victims were unaware it was a crime, they would be unlikely to seek help. Forced marriage became a criminal offence in 2014 and there have been four convictions in total across the UK since. Natasha Rattu, executive director of the West Yorkshire-based charity, said there were pockets in Bradford where forced marriage was “a huge issue”. “It is a really sad state of affairs that five years on from the law being brought in that there is still a significant lack of awareness,” she said. 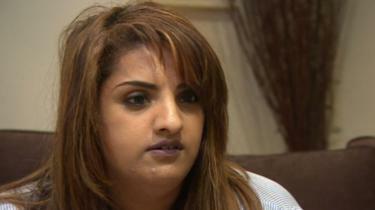 Asha Iqbal was forced to flee her family to escape being taken overseas to be married. She said: “It kept getting mentioned that we should be going to Pakistan and having a look at a few men there. That’s when I knew things were going to progress in the wrong way for me. “Within 24 hours of me leaving I was stuck in a hotel room, I was suicidal. “The thing with forced marriage is you have multiple perpetrators and those perpetrators are usually linked to your very close friends so it was too risky getting in touch with certain people for support. “I don’t think a lot of awareness work is being done by big organisations and services because they are so afraid of offending communities. Karma Nirvana said West Yorkshire had overtaken London as the area with the highest number of calls, with a large number coming from Leeds and Bradford. In 2018 there were 1,390 contacts to its helpline, compared with 817 calls from London. The charity’s comments come after a number of women who joined a community-led consultation in Bradford looking at new ways to tackle the issue admitted they did not know forced marriage was a criminal offence. Faraht Maroof, who attended the event, said parents needed to be made more aware of the law. A government spokesman said its forced marriage campaign was “raising awareness amongst the public and potential victims” and encouraged affected parties to contact its helpline. It said public consultations were running to get views about the introduction of further measures, such as mandatory reporting around the issue.